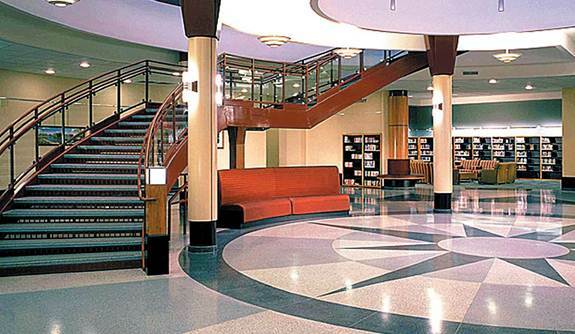 You may be surprised to learn how Elgin Illinois’ Gail Borden Public Library in got it’s name. I certainly was! The Genealogy Resources page on the library’s web site is well organized and informative. I was particularly interested in the Elgin Newspaper and Vital Record’s Index. Don’t be fooled by the limited dates listed on the web site; the index is much larger than it appears. This information made locating John’s obituary a snap in the library’s extensive microfilm collection. Unfortunately Alma did not appear in the online index. She died 10 Jun 1967. The microfilm collection is on the second floor. Turn right at the top of the winding staircase. A woman seated at the desk in that area greeted us as soon as we arrived. She provided a quick tour of the area and guidance in the use of new-to-us equipment. The microfilm reader is super slick and easy to use once you get the hang of it. The biggest challenge for me was finding the correct drive (“i” as it turns out) for saving my images. Of course that was after encountering my first challenge – a forgotten flash drive! No worries – the library has those available for purchase – whew! Motion-sickness sufferers may want to look away while scrolling through the films; the images blur significantly as they whiz by. They are crystal clear when they stop and the microfilm reader offers lots of focusing, sizing and cropping options. 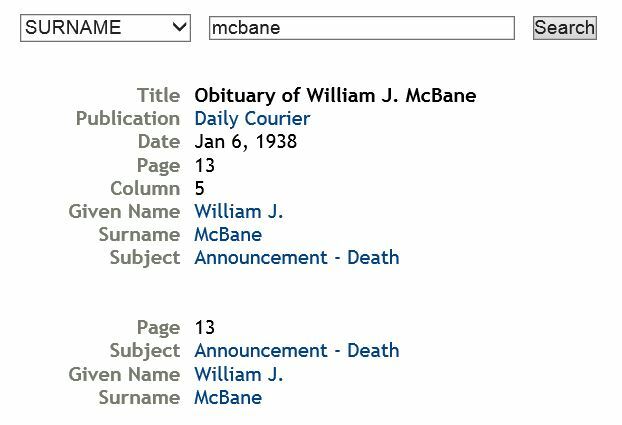 My to-do list included an obituary search for Alma and I was fortunate to find one in the Daily Courier. There was no cost to save images of the pages I scanned to my newly purchased flash drive. Overall this library rated a 10 in my book – helpful staff, modern equipment, plenty of spacious work stations, tremendous resources. Subsequent stops on this trip to Chicagoland provided new reasons to visit the Gail Borden Public Library, but it’ll have to wait. Next stop? The Geneva History Museum!